April 11th in Clone Wordpress Themes, Premium Themes by Wordpress Jedi . 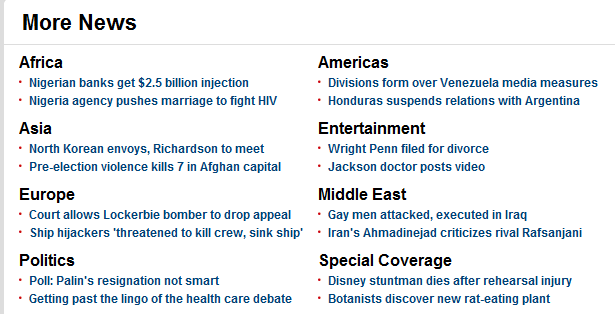 CNN used to be one of my favorite sites a few years ago. Not because it had the best news around, but due to all the cool features that CNN was implementing ahead of its competitors. These days, more people are building their own news portals and try to share the news that are important to them with the world. If you think about it, this niche is far from mature, and there is still room for more players to enter. Thanks to themes such as Cene, you can easily create your own news portal without having to spend too much money. Since WordPress is free, your start up cost won’t be too high. 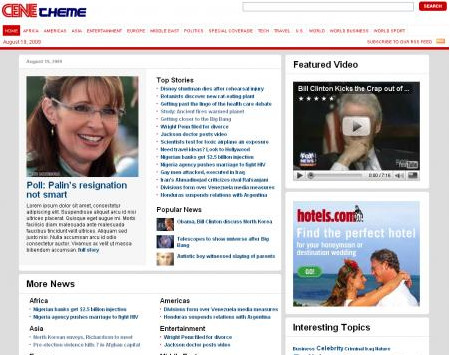 Cene theme is a very similar to the previous designed used at CNN.com. It lets you promote your breaking stories at front. You also have plenty of space to discuss your other stories at the bottom of your page. The theme is video ready as well and can handle images well as well. So you can bring it all together on your news portal by adding all types of content to your blog. Just like any top news portal, you get to display top news from all regions of the world on your website. Obviously, we are talking about how your information is categorized on your blog. So depending on the structure of your blog, these will look different on your blog. But it’s a nice way to give your visitors more ways to go through your content. 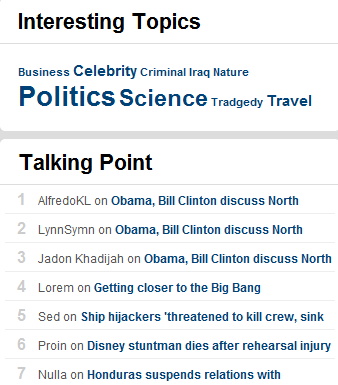 Cene theme also lets you share your talking points with the world as well. It doesn’t hurt that the theme is ad ready and dynamic. All in all, a very affordable, solid CNN clone theme for WordPress. P.S. don’t forget to check more clone themes and WordPress themes for news sites for more ideas. My understanding is it is not available anymore or we were told to remove the link.